HUGE REDUCTION FOR QUICK SALE! 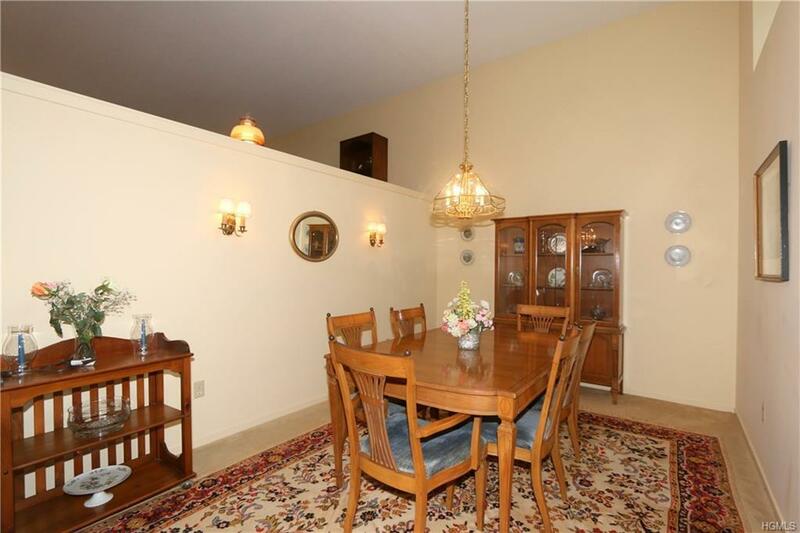 PEACEFUL SETTING with a Country Club Lifestyle! 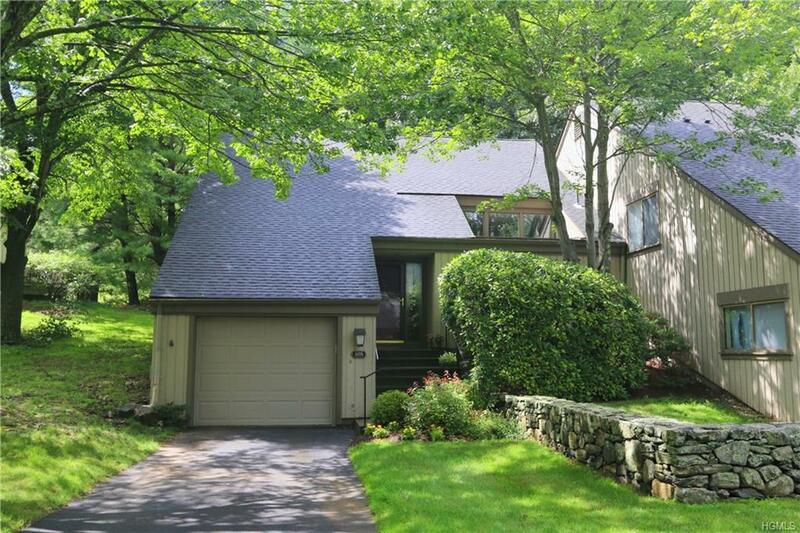 This Katonah model is an END UNIT located in a lush setting with a glorious private backyard and a flagstone patio. Quiet location w/convenient adjacent guest parking. 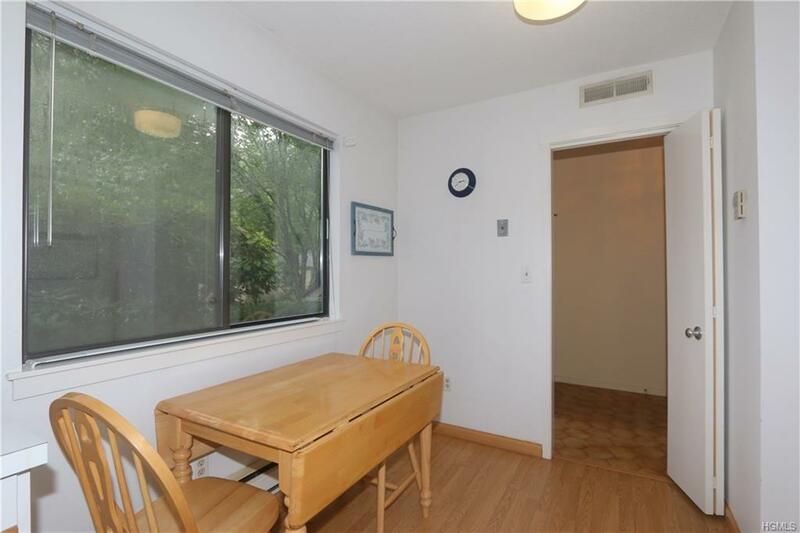 This two bedroom / two bath unit is one of the few styles boasting an attached garage + a finished BASEMENT for storage. The master suite has a full bath + a walk-in closet. 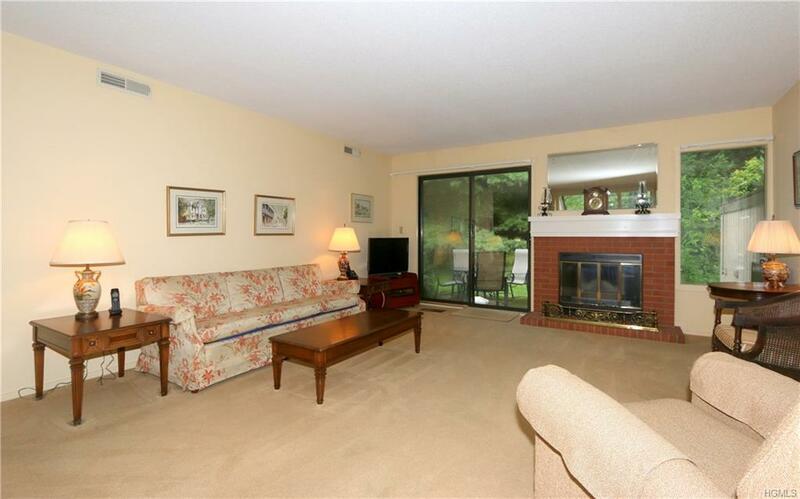 A large living room w/sliding glass doors to the patio & wood burning fireplace for gatherings or just relaxing. Lots of windows throughout. Even the garage has a window. Monthly charges incl: HOA $440 + Society $158 + Sewer $48 = $646. Relax in this idyllic setting & enjoy 5 swimming pools, 7 tennis courts, bocce, platform tennis, fitness center, gym, wood workshop, artists studios, 2 golf courses (membership required), 24 hr security, shuttle service & clubs/activities galore. Above taxes may be reduced by 2018-19 STAR $1704. THERE'S NO PLACE LIKE HOME! Listing courtesy of Debra Demelis of Coldwell Banker Res Brokerage.